There’s nothing worse than sitting down to watch a movie on the Apple TV and having streaming issues. Lately a lot of users, including myself, have been having issues in particular with iTunes purchases. From playback errors to excruciatingly long wait times for streaming to start, there are a few things you can try in order to get streaming straightened out and back to full speed again! Before trying any troubleshooting steps, be sure that your internet connection itself isn’t the problem. Your Wi-Fi could be working but not your ISP. You could be connected but bandwidth could be low or packet loss high. The first thing you can do is go to a site like speedtest.net on one of your computers. If you’re getting more than 15 mbps on the download side, you should be able to stream HD video without a problem. To make sure iTunes is really where the problem lies, check other streaming services. If nothing works, including iTunes, Netflix, Hulu Plus, etc., then the problem is likely with your Apple TV itself. If Netflix or Hulu Plus works but not iTunes, then the problem is likely iTunes. Most Apple TV streaming issues can be fixed by restarting your Apple TV. This can easily be done through the Settings menu. Launch the Settings app on your Apple TV. Click on General. Click on Restart, it’s located all the way at the bottom of the menu. Wait for your Apple TV to restart. If your issues persist after the above steps, continue on. This is the fix that worked for me, if only temporarily. While many find it only necessary to leave the Apple TV unplugged for 30 seconds or so, I’d recommend unplugging it for a minute or longer. After plugging it back in, try streaming iTunes purchases again. If you’re still receiving errors or seeing a long wait time, continue on. Sometimes forgetting your Wi-Fi network and re-joining it solves streaming issues. It’s worth a try before going with a complete restore. Launch the Settings app on your Apple TV. Click on General. Click on Network. Click on Wi-Fi. It’s the first option and should already be highlighted. Click on name of the network that you are already connected to. Click on Forget Network. You can now rejoin the network again and test to see if the issue was resolved. If not, continue on. Resetting the settings on your Apple TV can sometimes get rid of corrupt files that could be causing the issues. Launch the Settings app on your Apple TV. Click on General. Click on Reset, it can be found towards the bottom of the menu. Click on Reset All Settings. Wait for your Apple TV to reboot and try streaming again. If none of the above options worked for you, or they only worked temporarily, it may be time to completely restore your Apple TV. While having to type in our passwords and rejoin networks is never ideal, it’s worth it if the issues themselves are fixed. Launch the Settings app on your Apple TV. Click on General. Click on Reset, it can be found towards the bottom of the menu. Click on Restore. Wait for your Apple TV to restore. Be sure you don’t unplug it while the restore is in progress. If the above suggestions still aren’t working for you, or you need help with something else, our iMore forums are a great place to ask. And if you’ve found another way of getting iTunes purchases to stream more consistently, be sure to let me know that in the comments too! Apple’s Photo Stream service is split into two parts. The first part conveniently saves your personal photos to iCloud and wirelessly syncs them between your devices. The second part, now known as iCloud Photo Sharing, lets you create shared Photo Streams that other iPhone, iPad, iPod touch and Mac owners can view, comment on, and optionally add their own photos to. Both parts of Photo Stream make handling images easier and more convenient than ever. So, how does it all work? How to enable and disable Photo Stream on iPhone and iPad How to enable or disable iCloud Photo Sharing on iPhone and iPad How to enable or disable notifications for shared Photo Streams on iPhone and iPad How to access Photo Stream on iPhone and iPad How to access iCloud Photo Sharing on iPhone and iPad How to create a shared Photo Stream on iPhone and iPad How to delete photos from your Photo Stream on iPhone and iPad How to delete photos from shared Photo Streams on iPhone and iPad How to delete a shared Photo Stream on iPhone and iPad How to unsubscribe from a shared Photo Stream on iPhone and iPad How to add or remove people from shared Photo Streams on iPhone and iPad How to let others add photos to shared Photo Streams on iPhone and iPad How to like or comment on photos in a shared Photo Stream on iPhone and iPad How to share Photo Streams with people who don’t use iPhones, iPads, or Macs iCloud Photo Library and Photo Stream: What’s the difference? If you have an iCloud account, you have the option to use Photo Stream. The regular version of Photo Stream can automatically save your last 1,000 photos or 30 days, whichever is great. It doesn’t count against your iCloud storage limit the way iCloud Photo Library does, which may make it a better option for folks who don’t want to pay for iCloud. For folks who use Photo Stream on a Mac or PC, you’ll want to make sure Photo Stream is enabled even if you are already using iCloud Photo Library. iCloud Photo Sharing is just Apple’s new name for what has traditionally been known as shared Photo Streams. These streams can easily be created and then shared with any other iPhone, iPad, iPod touch, or Mac user that also has iCloud Photo Sharing enabled. Once you’ve created one and share it, other people can view your photos, comment on them, like them, and even add their own if you choose to let them. In order to create or join other people’s shared Photo Streams, you just need to make sure you have the feature enabled. Every time someone adds a photo to a shared Photo Stream, comments on something, or likes it, every member of that particular stream will receive a push notification. If you don’t want to completely turn off notifications through Notification Center, you can choose to disable notifications just for a specific stream. This is a great trick for a stream that may have a lot of people or a specific person that tends to post a lot of photos or leave a lot of comments you may not necessarily need to see as they happen. After you’ve enable Photo Stream, you’ll also want to know how and where to access it on all your devices. The traditional version of Photo Stream lives inside the Photos app alongside all your locally stored photos and saves the last 30 days or most recent 1,000 photos, whichever is greater. However, if you have iCloud Photo Library enabled, you may be a little confused as to where Photo Stream went and why. We can help explain all these issues. iCloud Photo Sharing lives in the Shared section of your Photos app and lets you access not only the Photo Streams that you have shared with others, but the streams that others have shared with you. Prior to iOS 8, iCloud Photo Sharing was simply referred to as shared Photo Streams. Aside from that, not much else has changed. If you have photos you’d like to share with others, one of the easiest ways by far is iCloud Photo Sharing. Creating a shared Photo Stream is super simple and doesn’t require you to upload photos to public social media sites such as Facebook or Instagram if you don’t want to. Shared Photo Streams even let you allow others to add photos which makes for a great way to share memories and view photos that maybe you didn’t have a chance to snap at an event but someone else did. The original Photo Stream service automatically saves your last 1,000 photos or 30 days of photos and syncs them across all your Apple devices. Since Photo Stream doesn’t count against your iCloud storage, you might think you don’t have to worry about deleting them. However, every once and a while a photo might slip in that your definitely don’t want syncing between your devices. If and when that happens, you can easily delete the photo from Photo Stream, and that will not only remove it from all devices, but in the case of the new iCloud Photo Library service, delete it permanently as well. Shared Photo Streams are a great way to share photos with friends and family members that also have iPhones, iPads, and Macs. Not only can you add photos at will, you can also delete photos too. So whether you accidentally uploaded a photo you didn’t mean to or you just don’t want a specific photo to be viewable anymore, we can walk you through how to get it out of a shared Photo Stream. You can delete shared Photo Streams just as easily as you created them. Perhaps you only created the stream so folks could save the photos to their own devices, or it just isn’t getting used. Whatever the reason, you can remove it from everyone’s devices just as easily as you put it there. The only caveat is that you can’t fully delete a stream unless you were the one that created it. If someone invites you to a shared Photo Stream, you will then receive notifications of any photos added as well as a notification anytime anyone comments or likes a photo. While you can always disable notifications, you may decide you don’t actually need to be a member of that particular stream any longer. If that’s the case, you can easily remove it from all your devices if you’d like. Once you create a shared Photo Stream, one of the most obvious things you’ll want to do is add people. Even though you have the opportunity to add members during the creation process, you may decide later on you need to add someone else, or even remove an existing member. Doing so only take a few seconds. You have the option of whether or not you want members of your shared Photo Streams to just be able to view photos you post or if you want them to be able to add photos as well. By default, all members are able to post. However, you can turn the feature on and off whenever you’d like. Shared Photo Streams allow all members of a shared Photo Stream to not only add and view photos, but to like and comment on them. For families, this is a great way to share photos and be able to communicate about them without actually having to start a text thread or upload them to social media. This is especially great for folks who have family members who are anti-social media since shared streams are a lot more private. While shared Photo Streams are mainly geared at sharing between iOS and OS X users, there is another useful feature that lets you share a stream with virtually anyone. This feature creates a public website containing all the photos in the stream that anyone that has the URL can access from any browser. Bliver du hele tiden forstyrret af diverse notifikationer, der fylder din låst-skærm op? Se her hvordan du får sat en stopper for det. If you have the new iCloud Photo Library service turned off, and you delete photos from Photo Stream, you’ll still retain a local copy in the Camera Roll of whatever device you took them on. In other words, it will be removed from the collection of 1000 photos or 30 days of photos synced across your iPhone, iPad, and/or Mac, but you’ll still have the original image on the original device. Launch the Photos app on your iPhone or iPad. Tap on My Photo Stream under the Albums tab. Tap Select in the upper right hand corner. Tap on the photos you’d like to delete in order to select them and then tap on the trash can in the lower right hand corner. Tap on Delete Photos in the popup menu to confirm the delete. If you have iCloud Photo Library enabled, you lose the traditional My Photo Stream section as well as the Camera Roll. Instead, you are given an All Photos section that contains all your photos and can be synced across all iOS devices (with OS X and Windows support coming in 2015). iCloud Photo Library has no limit but, and this is a rather large one, if you delete a photo from the All Photos section, it will be deleted across all your devices and from iCloud Photo Library. In other words, it will be gone completely. So while All Photos operates as a Photo Stream of sorts, it doesn’t play by the same rules as the traditional version of Photo Stream. Keep this in mind before following the directions below and deleting any photos. Launch the Photos app on your iPhone or iPad. Tap on All Photos under the Albums tab. Tap on the photos you’d like to delete in order to select them and then tap on the trash can in the lower right hand corner. Tap on Delete Photos in the popup menu to confirm the delete. With two-step verification enabled for your Apple ID, you don’t need to create or remember any security questions because your identity is exclusively verified using your password, verification codes sent to your trusted devices and your Recovery Key. The added layer of security is a tremendous convenience, but with great power comes great responsibility and I can’t stress enough how crucial it is to ensure you never forget where you stored your Recovery Key. As Owen Williams of The Next Web learned the hard way, they’re calling it “Key” for a good reason. 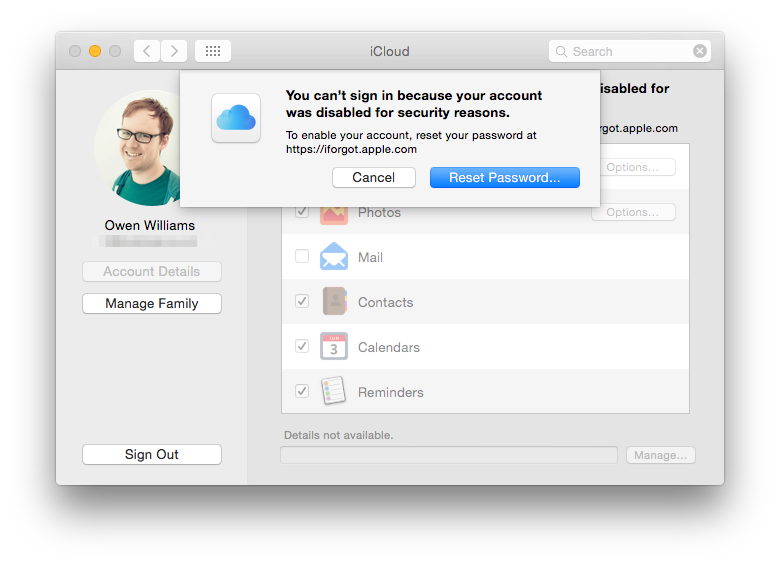 Losing your Recovery Key puts you at risk of being locked out of your Apple ID if Apple’s temporarily disabled it as a security precaution because someone’s tried to hack it. Apple cannot grant you access back into your Apple ID. This is by design: the system’s been engineered in such a way so that only you can regain access to it. And in order to do that, you absolutely need a Recovery Key. “How losing your Apple ID Recovery Key could permanently lock you out of your account” is an article by iDownloadBlog.com. Foretrækker du Yahoo eller Bing frem for Google? Se her hvordan du nemt ændrer standardsøgemaskinen i Safari på iPhonen og iPaden.